Finally, Rovio Entertainment has released Angry Birds Space, the most wanted version of Angry Birds game. This version is available now for iPhone, iPad, iPod touch and Android devices, as well as the Mac and PC, with PC retail copies to follow shortly. 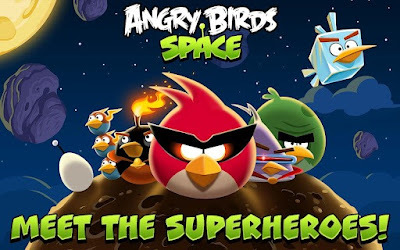 Angry Birds Space marks the first integrated entertainment launch for Rovio, with merchandise, animation and books available in retail at the same time as the game. will also be available on Android for $0.99, and an HD version for Android tablets for $2.99.